Canadian Women's Gold Medal Hockey Coach on Coaching Men and Canadian Athletics! Danièle Sauvageau has the passion, instinct and leadership that was instrumental in the historic win by the Canadian Women’s Hockey team at the 2002 Winter Olympics in Salt Lake City. As the general manager and coach, Sauvageau transformed a fear of losing into an absolute desire for victory, a radical turnaround that enabled her players to achieve their Olympic dream. Danièle Sauvageau has taken part in six Olympic Games, as women’s hockey coach, general manager and coaching consultant. She played a key role in her team’s wins in seven consecutive world championships, and in the silver medal they won at the Nagano Olympics. With her dedication, involvement in developing her sport and her winning record, she has become the undisputed guru of women’s hockey in Canada. She also holds a master’s certificate in coaching from the National Coaching Certification Program and a management certificate from the École des Hautes Études Commerciales. Danièle Sauvageau has a degree in social work and has served with the RCMP and Montreal’s police department for over 24 years, including the narcotics division. Sauvageau has done undercover narcotics work, busted a car full of drug dealers, and ordered the forced entry and rescue of a double agent whose life was in jeopardy. Sauvageau currently works as advisor to the strategic development department. Sauvageau’s expertise is not limited to just one sport. She has contributed to the success of a number of national programs, including the national synchronized swimming team and the women’s water polo team. She is involved as a coaching and performance consultant with the Canadian Olympic Committee in preparation for the Vancouver Winter Olympics. As such, she is closely associated with the success of Canadian short-track speed skaters and figure skater Joanie Rochette. Drawing on her expertise in human resources management, coaching, leadership, situation assessment, communication and the formation of winning teams, Danièle Sauvageau speaks on various topics related to performance. In 2003, Sauvageau began to offer her services as an executive coaching consultant. She has supported and assisted numerous public and private-sector clients in building a new vision and managing change in order to gain a competitive edge. Danièle Sauvageau is a well-known figure in the media and is often asked to comment on developments in hockey and elite sports in general. Over the course of her career, she has been featured on CBC, Radio-Canada, TSN and NBC, as well as many articles in Canadian and American publications. She is also the co-author of The Golden Tears, the Journey to the Olympics. 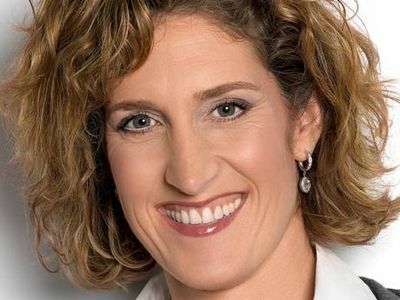 Danièle Sauvageau was the spokesperson for the Coaching Association of Canada and a member of the Coaches of Canada, as well as serving on the board of directors for Vancouver’s 2010 Winter Olympics bid. Instinct of winning is relevant in sports as well as in business. To lead a team to victory, we must accept challenges and work as a team through adversity. Spend a moment in the shoes of Danièle Sauvageau, the director & head coach of an Olympic gold medalist National Team, a strategist of the Canadian sport system and an international coach mentor in order to understand and use the power of mobilization. Each time Sauvageau gives a presentation, she captivates and inspires her audience, as she speaks about adversity and resilience, the notions of leadership and a winning team, and about what she has experienced, studied, and applied. Daniele Sauvageau will inspire and guide you through the strengthening teamwork and leadership skills that will lead you to victory, to the ultimate goal – Gold. “She's a great communicator. She knows how to motivate”.